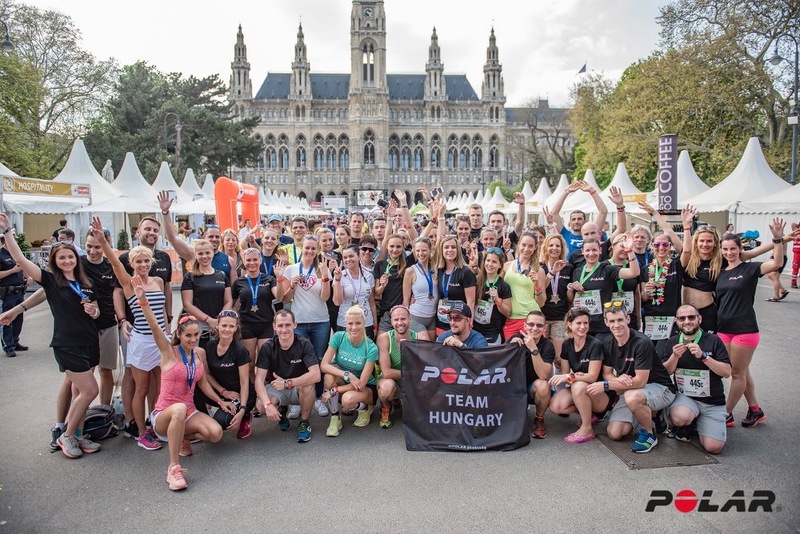 What the Vienna Half Marathon was like? 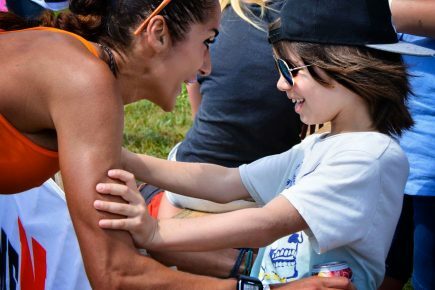 The reports from my races are never usually about how I get in shape, or how I did at the race. My own personal experiences and the analysis from my performance are for my own pleasure. However I would like to share my experience from a runner point of view. It could be of use for those who intend to try the race in Vienna in the future. …because I was lucky enough to travel with the POLAR team. We travelled comfortably, in good spirit, with familiar faces and in an extremely highly organized way. I trained 6 girls for the race: out of 4 half marathon runners, 3 were on their first try, while 2 of them are 2 of the 4 girls of the POLAR marathon relay run team. They are my sprinters. I am very proud of them, since despite the sudden heatwave, they all managed to run according to plan! …because, despite being the 35thjubilee of the Vienna Marathon Festival, the organization of the race was a major disappointment. Last year, I ran my best ever marathon at this course, from zone 1, thus I even had the possibility of a realistic comparison. Last time, I had nothing to complain about, weather was a good one, the water issue was on hand, the first zone spread out relatively soon, and you were able to get along quite well on the relatively plain and fast track. However there were some serious issues, because quite a few runners got lost, and came to finish as full marathon runners in the half marathon finish, as the signs were not totally clear at the intersection. I started from zone 3 on a half marathon course, as I was only supporting two POLAR girls for their 2 hour half marathons, and we set a 5:30 course. Here I have to add, that in this zone, the amateur middle range runners create a zone with the most runners in one field. Thus relaying only the running experience, this was most likely my worst ever. Thanking my good luck, that I was only there to create support for my teammates. The fact that I was there only to look out for them, most certainly helped me to overcome my disappointment. Stiffness: we had to wait over 30 minutes at the starting post, which was more than enough for stiffness to set in. Lack of WC’s at the starting post: Let your imagination loose for the consequences: long lines, the smell, random male solution to the issue, and the white shining bums of their female counterparts. Zones: While running, I had time to consider, why on earth they only assigned 6 starting zones for 40.000 runners???!!! With simple mathematics, this would be approximately 6,5 thousand runners per zone, and considering the fact that zone 1 would be hosting the least runners, from zone 2 and upwards, this would rather mean 7-7,5 thousand runners. That amount only is the full amount of runners of a smaller-mid race. It was thus completely unmanageable, despite the divided start. Organizational error: zone 4 somehow got in front of zone 3. That is a huge error. How did it possibly happen? I cannot even imagine. One thing is sure, that both zones were started at the same time, from different angles, however, zone 4 somehow managed to run faster. I don’t know why, maybe they were fewer runners there. So like this, we had to fight ourselves through zone 3, this only to find ourselves amongst the even slower zone 4 runners. When I noticed their registration plates, I thought we were being followed by candid camera crews, and we had changed direction, and were running from finish back to start – unfortunately that was not the case, it was for real. All distances together: half marathon, marathon and relay marathon was started at the same time. Cattle cage syndrome: there is always a build up at the front of all races. I told my girls, that it would continue for about 3 kilometers, just like it had last year as well. However, this impossible situation went on for about 15 kilometers. Slalom: it was impossible to keep even 5 meters in one direction, running was a complete game of slalom. I was upset about this for the full race. Loss of energy: thanks to the above issue, you loose a lot of physical energy, but also a lot of mental energy too. It is totally impossible to concentrate on the race, or on yourself for that matter. I went on autopilot, which I rarely do, however what mattered more was the fact that the girls could not concentrate on running either. Train syndrome: we could not run next to each other, we had to run in a row, me at the front making way for them, while they tried to follow me with more or less success in the narrow lanes I made for them. Life threatening situation: It was very dangerous jumping up and down the sidewalk edge, pushing each other all the time totally unethically, shouting to those in front of you to move aside, excusing yourself from left to right. ( I had the scene from the film Spagnol running in my mind all the time.) We were not enjoying ourselves at all. No aim: most people come here to run for two reasons: one, to do their personal best, or to enjoy the race. Well, in this case I have to say that none of the two were realized. Refreshments, or more exact, no refreshments: in the 30 degrees celsius, which was well predicted already a couple of days before the race, they only offered refreshments per 5 kilometers. They should clearly have done it more often. Thirst: after 15 kilometers, approximately at 12 noon, everyone was so thirsty, that half the runners were queuing at the public fountains. Lack of personnel: there were not enough people and tables at the refreshment points for filling up the glasses. Dehydration: I am more than sure, that the case of us hearing the sirens all the time, had to do with the fact, that there were not enough refreshing stations in the extreme heat that day. There were people falling out of the race left and right. Plastic glass carpet: I was disturbed by the constant, thick plastic glass carpet, which was totally dangerous. My personal view of the race is, that they wanted to do something big, but did not have the personnel and the infrastructure to do it. The Vienna organizers also fell into the trap, that a lot of popular big race organizers do: they get too greedy for their own good. Coming from the Austrians, I am particularly disappointed – they gave up quality for quantity. 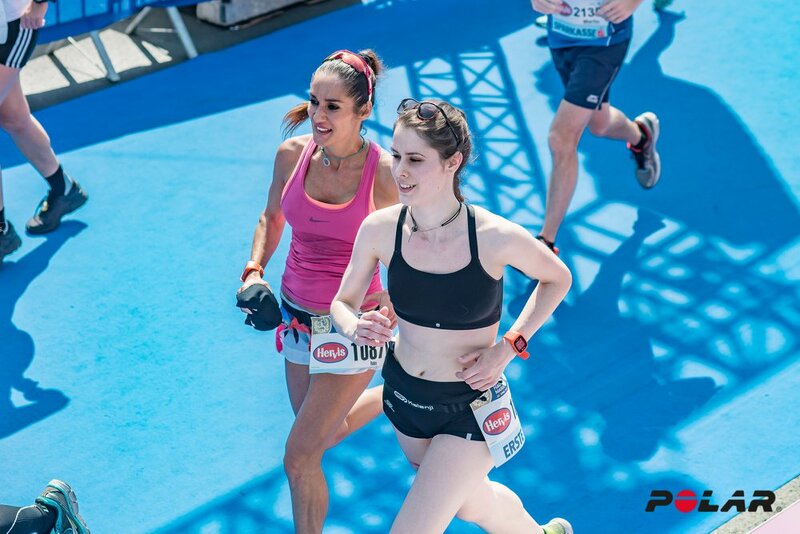 The smaller well organized races are much more enjoyable, and give better possibility for runners in the midfield. Be it performance or presentation. 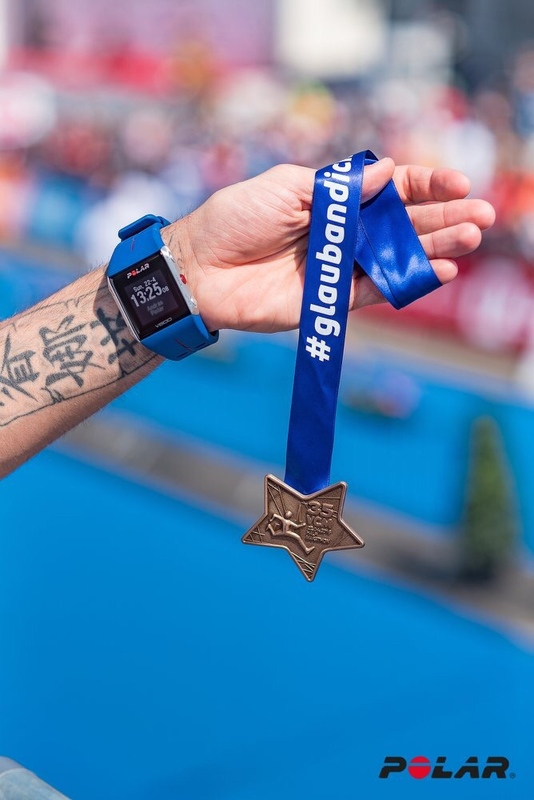 The Vienna marathon, is an extremely expensive, however poorly presented mass-wave, with a slightly claustrophobic experience. I would not recommend it to others than those runners who run in zone 1!! !